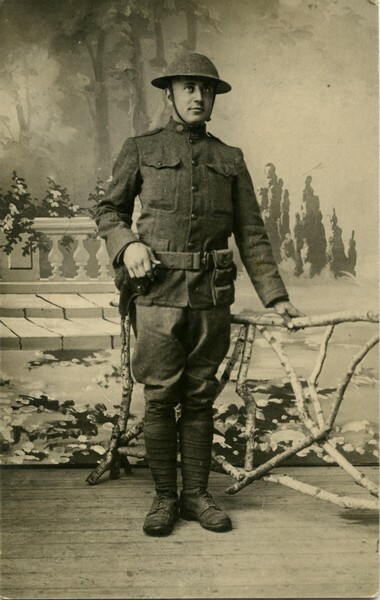 Laurel L. Hanan of the 339th Machine Gun Battalion of the 88th Division succumbed to the Spanish Flu during the Meuse Argonne Offensive during the tail end of WWI. Over 120,000 US servicemen were afflicted with Spanish Flu during the war, actually making the Flu more deadly than German machine gun bullets! I was able to stumble across this photo on eBay and was happy to add it to my collection. 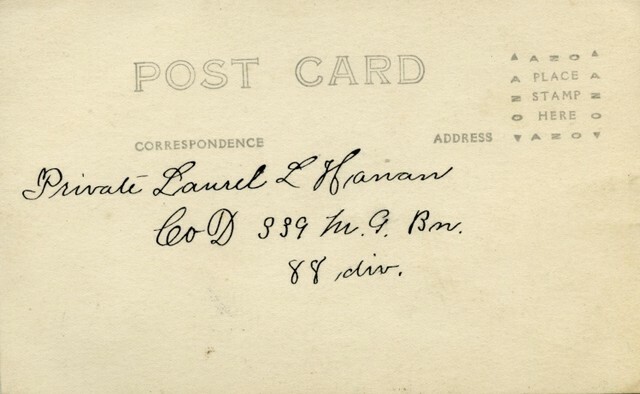 I’ve added Laurel’s photo to his findagrave.com page, and have requested an update to his page. Laurel was reburied in his hometown after the war.